In its earliest years photography attracted a curious mix of charlatans and visionaries, each pursuing its innate tendency toward spectacle for very different ends. As the codes that would shape our understanding of the medium were still being determined there was, correspondingly, no definite expectation of what it could do. Ben Cauchi is an artist acutely sensitive to these other histories and his work draws on the same visual rhetoric that was first elaborated in the blatant deceptions of that early photography, recasting its charged aura of truthfulness as a kind a blackly humorous burlesque. 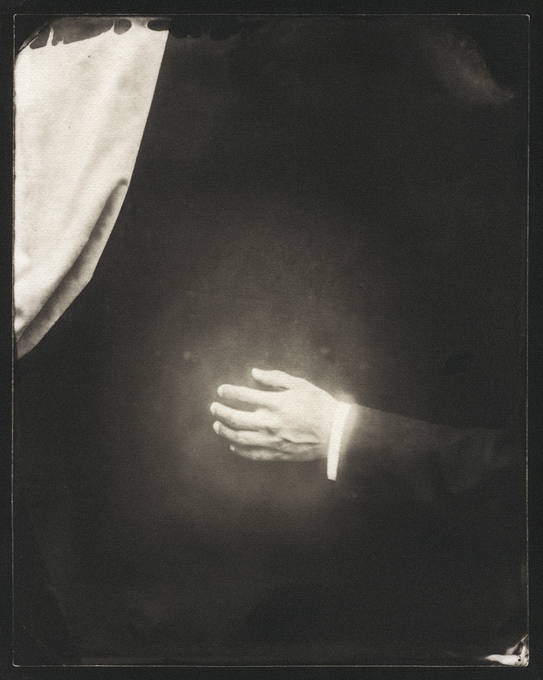 Of course, at a time when photographic manipulation is so widely accepted the heritage of Cauchi’s trickery might appear somewhat beside the point. But he aims less at the issue of photographic truth, which is, at any rate, a phantom target, than the question of what constitutes belief as a human principle and how that need might be expressed. Cauchi uses this historical vocabulary as a framework to address the evolution of certain photographic tropes, all of which centre around the notion of what exactly is visible in an image and how the conditions of that visibility influence our “belief” in the photograph. A key player in this fictional universe is that of the photographer as confidence man, here to work over the rubes with a sincere expression and a marked deck. This role is ably played by Cauchi himself, revealing the photographer as a kind of double-agent, both aware of this deception and, equally, in thrall to it. His universe obviously is not ours – he chooses to inhabit a very different time, but the array of props and gestures he surrounds himself with are more or less in direct reference to the conceptual evolution of photography. 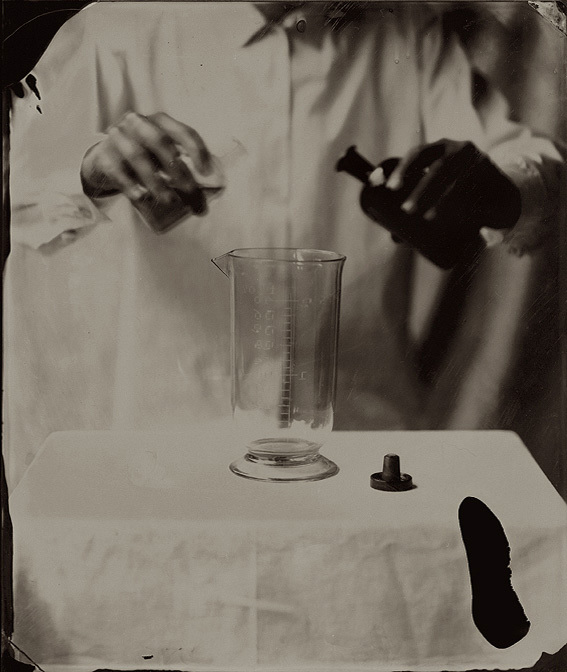 Certain values or expectations have defined how we use the medium and in Cauchi’s work there is a tracing of the way those particular values came into being. 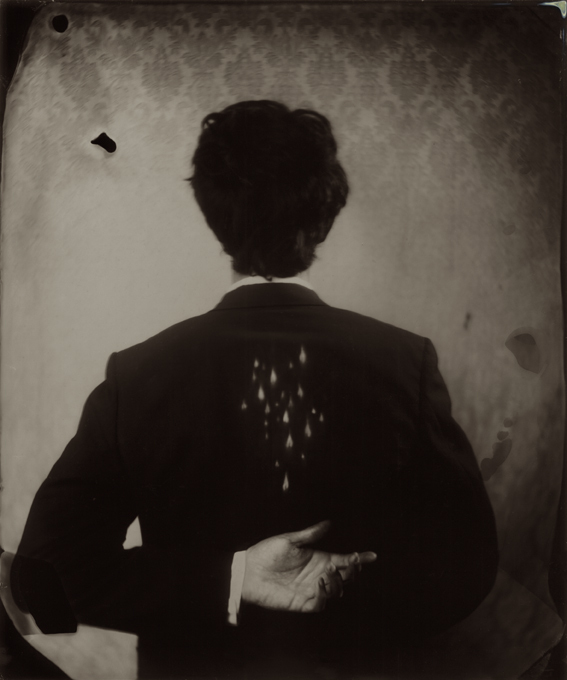 He recreates the earliest years of photography’s development not in order to vilify its later failures, but rather to understand how they might have been possible. Even the material presence of this work has some understated element of performance to it, as Cauchi favours the labour intensive method of wet-plate collodion, specialising in the production of ambrotypes, which are essentially unique photographic objects. This dialogue with its own contested history is implicit in how we approach the work, meaning and process bound together in convincing, significant ways. So this preference for a specific affect is not just in the interest of its formal “authenticity” as such, but rather is a way of articulating his deepest concerns, having to do with the ways in which we encounter a photograph, both as an object with a very definite set of properties and also as a kind of “ideological” statement about its given subject. 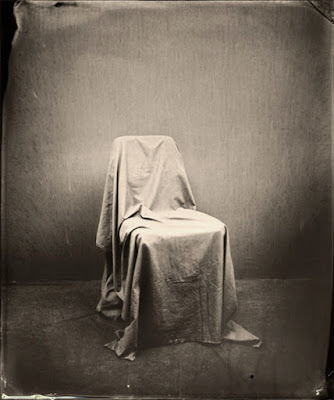 What we “see” in a picture is never just a matter of what is there, and Cauchi deals with those particular qualities of a medium that has always been on the edge of its own visibility. He has a comprehensive website.